LEGOLAND Discovery Centre now open at Chadstone – The Fashion Capital. Ideal for children aged 3-10 and their parents, this is the perfect place to explore a world of creativity and colour.This unique indoor attraction, based on the popular LEGO® brick, includes two LEGO® rides, five themed LEGO® build and play zones, build classes from the LEGOLAND® Discovery Centre Master Model Builder, special party rooms for birthdays and other celebrations, a 4D cinema, and of course, the popular MINILAND exhibit found in every LEGOLAND® Park and attraction. MINILAND Melbourne is designed to reflect the city’s iconic buildings, impressive skyline, and landmarks from the surrounding area, as nominated by the local community. 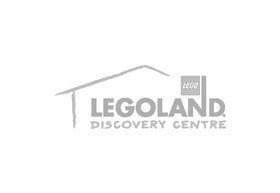 Visit LEGOLAND Discovery Centre’s website to pre-book tickets to guarantee entry and register for latest news. Although adults must be accompanied by a child to visit LEGOLAND® Discovery Centre, Adult Fans of LEGO® will be invited to regular Adult Night events. In addition to being the ultimate indoor LEGO® playground with over 2 million LEGO® bricks, there's also an amazing LEGO® Store with hundreds of your favourite sets! The store operates under the same general hours as Chadstone The Fashion Capital.